Full military ceremony, with swords, etc. [S150] Texas Birth Index, 1903-1997, (FamilySearch), 8 Feb 2019. [S205] United States Public Records, 1970-2009, (FamilySearch), 8 Feb 2019. [S129] Miscellaneous Newspaper Obituaries, (Various publications), 23 Feb 2019. Gail Diane Murakami passed away at her home, in Los Osos, at the age of 68. Born in San Antonio, TX to Edwin and Lois Hightower, Gail was an Air Force "brat", having lived in Austria and Germany, as well as six states before graduating from Cocoa Beach (FL) High. After high school, she traveled back to Europe, making new friends and creating special memories. 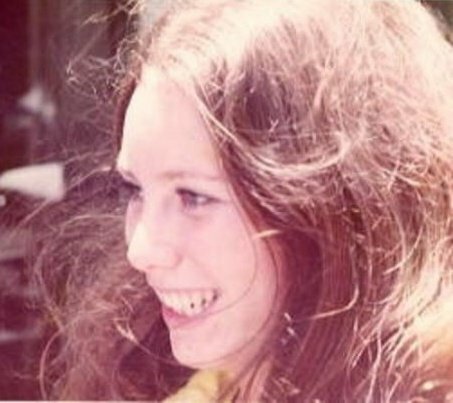 In 1974 Gail moved to Santa Monica, CA., where she worked in Securities and met Bill and his daughter Stephanie. They married on Valentine's Day 1987 in a small chapel in Canoga Park. A year later they left Los Angeles and moved their family to Los Osos, where Gail worked for over 25 years in Customer Service. Curious, with a remarkable memory, Gail usually knew the answer, when asked, which artist did what recording. She was also able to recall family trivia back to childhood with amazing accuracy. Gail was an original Beatle's Fan and saw them live in Atlanta. Survivors include Bill, Stephanie (Marcie) and grandchildren Kodi, Olivia, Kora. Brothers Ross (Susan) and Don (Helen) and niece Ali and nephew Eric.